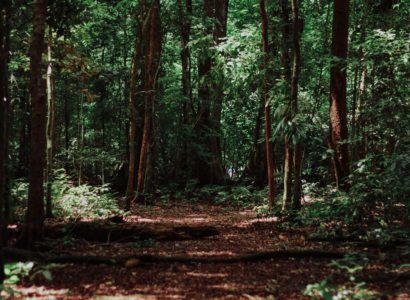 Companies and investors are calling for robust policies that place a price on CO2 emissions that is high enough that companies can retool their operations and drive investment into low-carbon solutions. But the conversation often gets stuck when it comes to identifying the price levels that influence business calculations enough to change behavior and meaningfully cut greenhouse gas emissions. 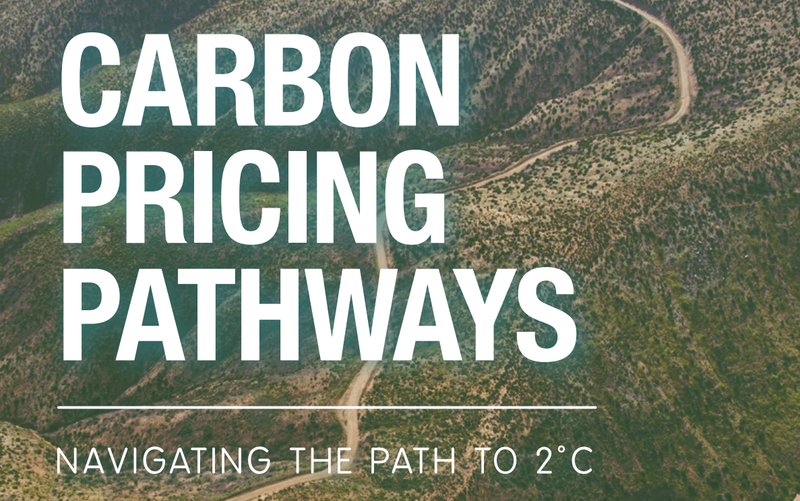 The Carbon Pricing Pathways Toolkit, developed by We Mean Business and CDP, is designed to help facilitate a strategic conversation about carbon pricing levels. It contains a series of Carbon Pricing Bands – a range of prices that correspond to specific techno-economic shifts. The toolkit was presented today at the COP21 climate conference during a panel discussions with Rachel Kyte, World Bank Special Envoy for Climate Change and David Heurtel, Environment Minister in Québec, among others. Nigel Topping, CEO of We Mean Business, underscored the importance of the joint work of our organizations to understand how carbon pricing systems might develop in future, and how to best support governments and businesses implement the best carbon pricing strategies. The bands, pictured in the graphic below, show how economies can move away from Subsidization of fossil fuels, toward an Introductory price of carbon of up to $20 per metric ton, which gives clear signals about future policy direction and emitters to gain experience. This gives companies time to adapt before prices increase to the Operational band of $20-$50 per metric ton, where the economics pushes companies to switch from coal- to gas-generated electricity. 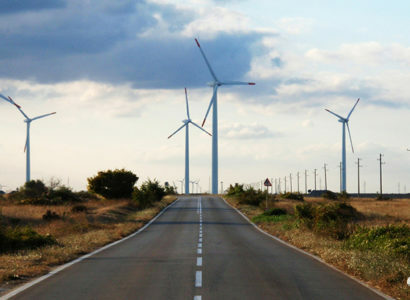 The Transformational range, of $50 to $80 per metric ton, makes investments in renewable energy most attractive. Finally, prices in some circumstances can be set above $80 per metric ton to achieve a Targeted phase-out of the most carbon-intensive fuels. A trajectory line (image below) is mapped over the bands, illustrating a scenario of global carbon prices rising enough over the next 10-15 years to keep global temperatures within 2-degrees of industrial levels. This success trajectory is an imperative tool for private and public entities to chart their carbon pricing levels through the year 2030. This model is intentionally flexible, as it recognizes that each economy will have unique factors that require a degree of adaptive flexibility. This year saw a surge in global companies that reported putting a price on their greenhouse gas emissions, in their annual disclosures to our not-for-profit CDP. Mainstream companies including Allergan, Campbell’s Soup, Colgate-Palmolive, Exxon Mobil, General Electric, Nestle, Microsoft, and Nissan were among nearly 450 companies that disclosed using a carbon price. More than 550 others, including Yahoo! and China’s power giant, CLP Holdings Ltd., are planning to do so within two years – ahead of government requirements, according to the latest CDP data. Without a public policy framework, businesses are left to guess how best to tackle climate change issues. CEOs are among those leading the calls for significant pricing levels. “Business needs to be incentivized by opportunities,” said Amy Ericson, president of Alstom USA, which develops, supplies and maintains sustainable and integrated rail solutions. Alstom USA uses different techniques to price each ton of carbon, including assigning a shadow or internal price. Ericson praised carbon pricing because it is “technology neutral, which is great for flexibility and optionality.” One example is smart grids to improve the delivery of electricity, which could be optimized with effective carbon pricing. Ericson noted that carbon pricing needs to be bolstered by energy efficiency or product performance standards, by public-private partnerships, research and development support and other policies to help manage the risk of bringing on new technologies. There is much to learn from the European Union’s experience with their emissions trading system (EU ETS), where carbon pricing has become integral to decision-making and forced companies to maximize efficiencies, according to Sandrine Dixson-Decléve of the Prince of Wales’s Corporate Leaders Group. Higher price levels would increase this effectiveness. Peter Bakker, president of World Business Council for Sustainable Development, endorsed the toolkit’s potential to move discussions to the actual pricing levels. He said three things were needed to scale up solutions to end climate change: innovation, collaboration and valuation of emissions at levels that create incentives to move away from a high-carbon economy. “It’s no longer a conversation about whether you need a carbon price, it’s about how to bring it about and what price it needs to be,” he said. Nigel Topping, chief executive officer of the We Mean Business Coalition, also offered vignettes of how the world could fail to take action soon enough, or in a coordinated enough manner to avoid the disastrous consequences of global warming. 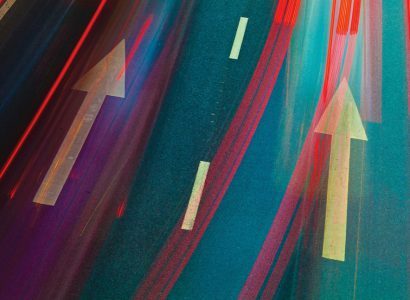 Now is the time to engage more decision-makers in this strategic conversation. We’re seeing an entire sector of the economy transform thanks to renewable energy out-competing other sources, writes Ceres’ Dan Bakal. The German auto manufacturing industry is at a perilous moment in its long and illustrious history and needs the help of ambitious policy.